You must make reservations at least 5 minutes in advance of the time at Stages at One Washington. Parking is readily available in any spot around the mill after 5pm. Additionally, there is metered street parking in the front of the mill building . Every so often we do things a bit differently and take a side step from our regular menus. We draw inspiration from a variety of muses. Sometimes a country, a point in history, books, movies, elements of nature, or iconic restaurants. We present it for one night… then it’s gone… and we’re on the next idea. Located just 10 minutes from Portsmouth and tucked away on the third floor of the historic Washington St. mill in Dover. 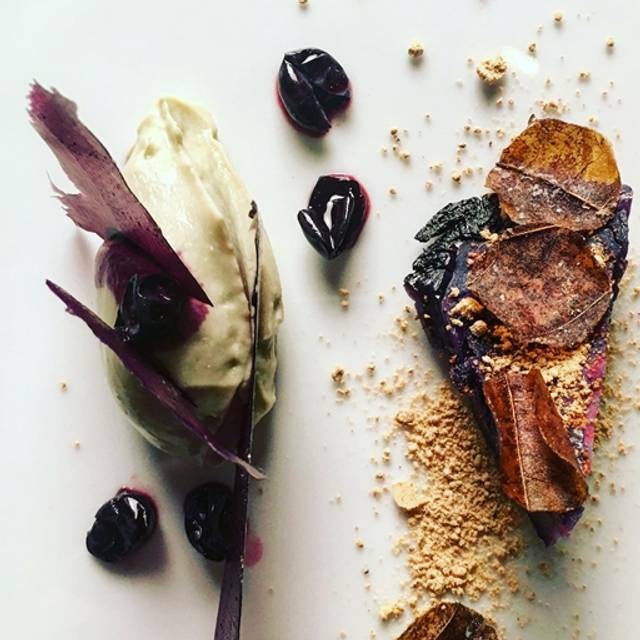 Stages serves Progressive New England cuisine, focusing on foods that are farmed, foraged, and fished from within New England. Chef Evan Hennessey offers an array of flavors, sometimes familiar and sometimes unexpected, mixed with a variety of temperatures, textures and techniques all to create palette pleasing dishes. Our 9 seat Kitchen Table is a unique and interactive experience, as you can watch and talk with the chefs preparing each course. 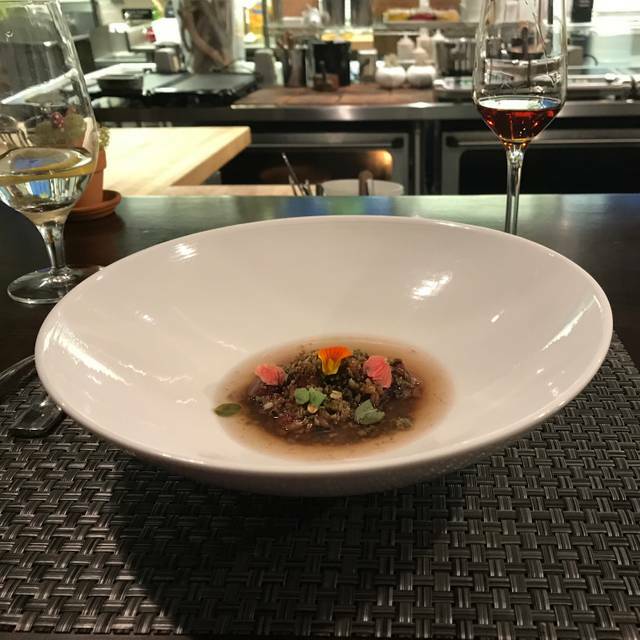 We offer a constantly changing 8-10 course tasting menu for $110/person, an optional wine pairing for $65/person, as well as a full wine and beer list. Evan was on the top of his game, as usual. Always finds new ways to impress. Absolute unique and fantastic experience. Evan and his team really provide something that you will remember forever. Amazing! Over the years, we’ve been fortunate enough to enjoy several of the “World’s Top” restaurants. But even in those dining moments that we will never forget, the desire / impulse to book another (actually more than one) reservation at the same restaurant (especially even before the meal had ended) has never struck us... until we experienced Stages and shared an evening with Chef Evan and Shara. It may be an hour away from home and the opposite direction from “the city”, but Stages gets our vote for one of New England’s top... no, the “World’s Top” restaurants. 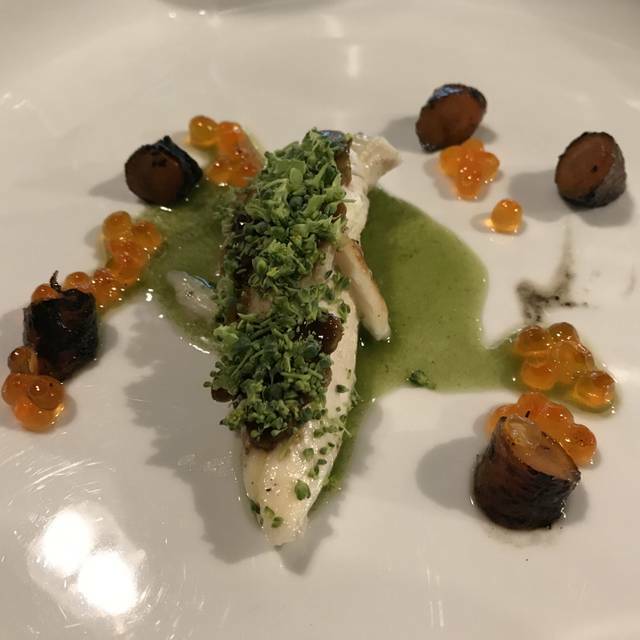 What Chef Evan puts together is an intimate, relaxed, unhurried, and amazing dining experience that takes your palate to new levels. It isn’t just the flavors (which are amazing) but the incorporation of smell, texture, temperature and (if you choose) great wine pairings that make for a truly complete dining experience. If you are considering a night at one of “Boston’s Best” (see the Magazine’s 2018 list - we’ve enjoyed... truly enjoyed... the majority of them), we recommend you skip them and drive north. “The Best” is in Dover, NH. Thank you, Chef Evan, for the ideal dining experience! Totally a unique and wonderful dining experience. A bit on the pricey side as we added the wine pairing but definitely worth it. The intimate setting, attention to detail, and amazing flavors make this place a must try. This is my second time at Stages and it was just as memorable. 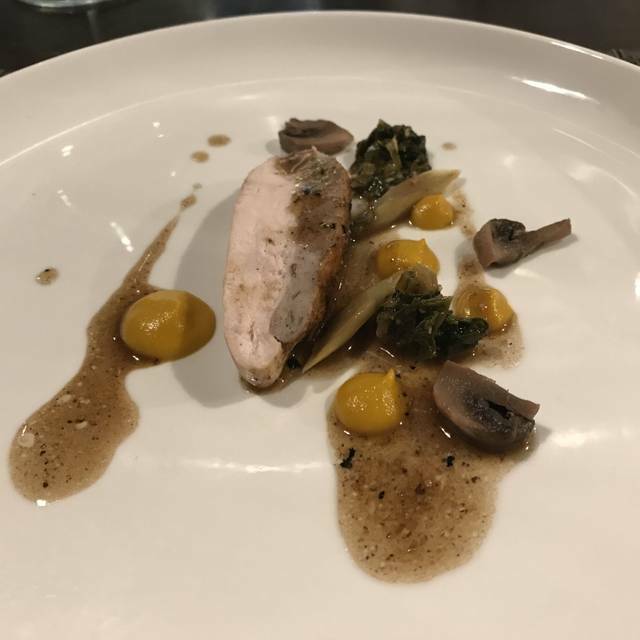 The food is outstanding, and it is such a great experience watching Evan prepare the food, learning about how the dishes are created, and the provenance of the ingredients. He is a most entertaining host. I strongly recommend this "experience". Unbelievably inventive menu! A pleasure to chat with Chef Evan about his ingredients in a very intimate kitchen setting. Heaven for anyone who appreciates art and good food! We very much enjoyed the "in the kitchen" aspect of the meal. The chef is very friendly. Had an amazing first experience can't wait for the opportunity to make it back again! Evan was outstanding as usual. One of the most memorable meals we have had in a very long time! Chef Evan is a delight and he is an incredibly talented chef. Can't wait to come back and see what he creates for us next! This was not a meal it was an entire experience that I'm glad I was able to have. Hopefully we will be back soon and with friends who can appreciate such thoughtful cuisine. Incredible food and experience. Creative tasting menu with optional wine pairing. Fourth visit cannot wait till the fifth! Intimate dinner setting in the kitchen of one of the area's finest chef's. In our case, dinner was $100/person, with a $65/person add for wine pairings. Portions are on the smaller side, although our menu was 11 courses, and we did not leave hungry. Favorites were the duck dish and the "carrot", which was a carrot, egg yolk, basil and 18 month cured veal prosciutto. Amazing! If your lucky, "Emma's Cookies" will be one of your desert courses. This was the most amazing dining experience I’ve ever had. Absolutely an incredible treat. Get there on time at 6:30 and prepare to get your socks knocked off! A wonderful experience, fresh food and the chef is awesome. Amazing experience. Run don’t walk to Evan’s kitchen. Dinner at Stages was a real culinary experience!! We enjoyed every course; there were a few items that we might not have been so adventuresome to try, but very happy we did. Chef Evan explained how and why he did some things, and his execution was beautiful to watch! There are only 6 seats so the dining experience was very interactive and the chef spoke to all of us, answered questions, and the evening was a real delight and experience. We are very happy we visited and on our next visit to Portsmouth, we'll plan to make another great night of it!! The dessert that his daughter made was outstanding!! The woman who helped was attentive with wine and interesting conversation!! This was our 4th visit to Stages and always a wonderful experience. Chef Hennessey is a creative and welcoming chef and his kitchen counter concept is amazing. Highly recommend. Stages One Washington is a unique dining experience with the highest level of excellence when it comes to food selection, preparation, and presentation. 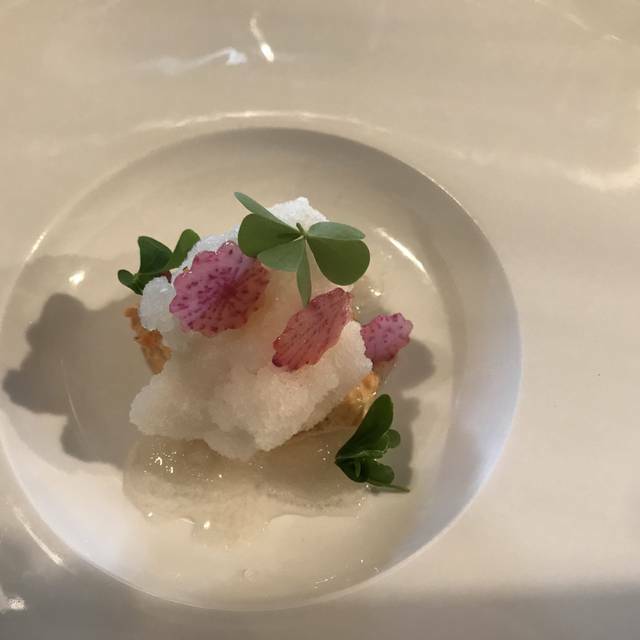 Sitting at the chefs table gives you a chance to learn about Chef Hennessey’s foraging, cooking techniques (there isn’t one traditional oven in the whole restaurant), and his passion for paring unique flavors. I’ve had the pleasure of eating at Stages 3 times and it has never disappointed. I look forward to my next visit! One of the best din8ng experienc3s I’ve ever had. I’ve been all around the world and enjoyed many wonderful and unique meals. Stages was not only an awesome culinary experience, the conversation and chef engagement added another level of enjoyment. Don’t consider this dinner, consider it dining and entertainment as you watch an award winning chef create your food right before your eyes. We were delighted with each of the ten tasting options we received immediately after being meticulously prepared. The owner/chef Evan Hennessy recently won an episode of “Chopped” on the food network. I can assure you he is as gracious and genuine in person as he was on Chopped. What an amazing experience my hubby and I had having dinner here. It was THE most flavorful meal we've even had in our entire lives and we've lived over 50 years including time in San Francisco which is THE ultimate foodie town. We had a great time and now look forward to sharing this unique experience with our daughter and my father-in-law at some point in the near future. Everyone should have this incredible taste experience at least once in their lives. Everything was just perfect. Food was unbelievable, every bite such a pleasant surprise. Some exciting and wonderful, some quiet and subtle. Excellent construction of courses, each building on the last. Not only could we plainly view our meals being prepared, when we asked, every detail was disclosed with such excitement and passion. Really loved the use of "local". We felt such a welcome, very intimate, like we were at close friends home kitchen. Also, the wine paring could not have been better. Just perfect! I have followed Chef Evan Hennessey on social media for some time and finally made the trip to his restaurant. The experience was even better than expected. 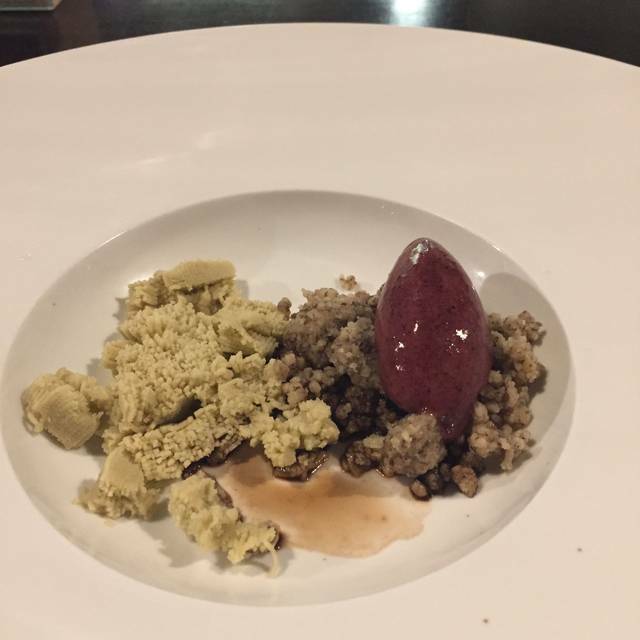 His dedication to New England truly shines through his creative expression of ingredients. While some of the flavors were unexpected, every dish was delicious. The atmosphere is second to none as well. It’s an intimate experience that anyone considering dining here shouldn’t pass up. I would dine here once or more a month if we could. 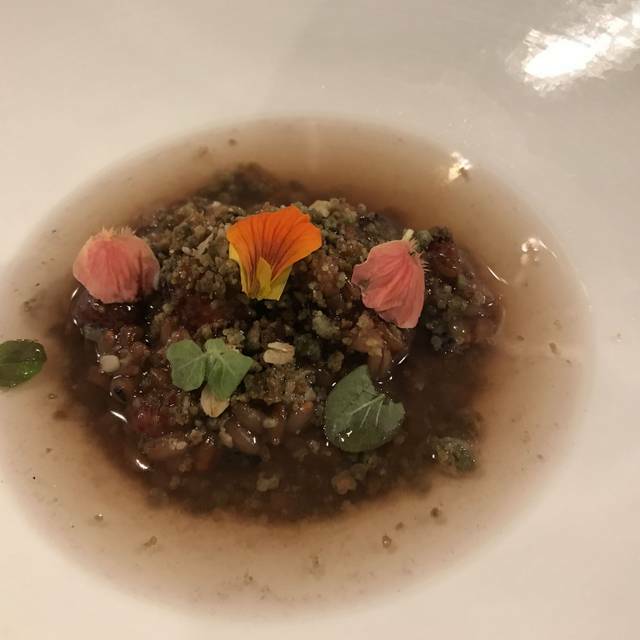 The best food experience We have ever had and I don’t know of any other place within an hour or more where you could get the same stellar food, staff or memorable moments. I don’t know how we will ever go back to being satisfied with one regular portioned option, this tasing menu has the best of everything. A ten course extravaganza that finished with outstanding just baked cookies. There are restaurant destinations that should be on everyone's bucket list and this is one of them. We are lucky that we live close by. The dishes are very creative, very small, and delicious. The whole meal takes 2-3 hours with lots of waiting, which is one of the main reason why we went because it gave our group plenty of time to bond. The wine list was created with a lot of consideration so I recommend the wine pairing. I think there should be a couple more vegetables dishes when the menu is low on protein, or one of the protein dishes should be more generous. I hope the chef continues to experiment, take risks, and evolve and look forward to dining there again. Chef Hennessey writes a love letter to where he hangs his hat with his hyperlocal tasting menu. An ever changing menu to what is in season, and where he has explored. My husband is not a "foodie". I am. We were both mesmerized by the thought, care, flavors, and the staying spine of the meal as each course came. 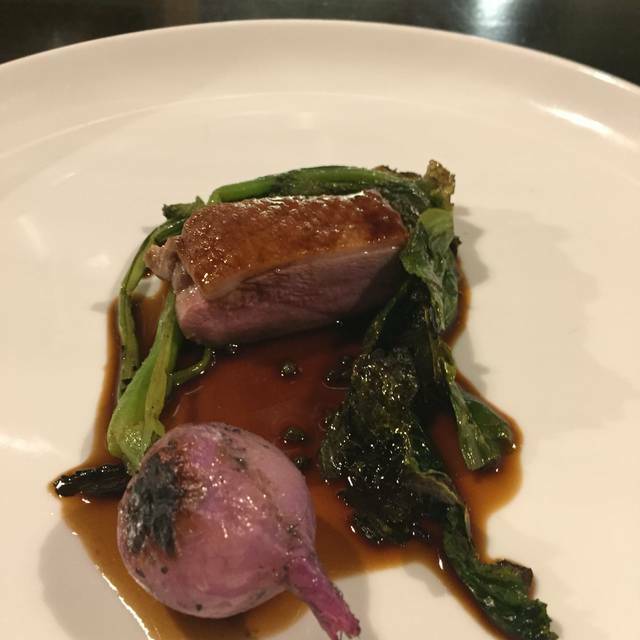 We had the best preparation of duck we have ever tried, and cannot stop thinking about it. Chef's preparation of ramps was incredible, and really brought a sense of my Appalachian home to me during the meal. Emma's Cookies were an incredible end to our meal, and we left with full bellies and full hearts. Of particular note: Every other reservation cancelled due to inclement weather the night of our reservation. Chef kept his kitchens open for just the two of us. We were humbled by his thoughtfulness, and it made our special night of celebration just a bit more...that. Amazingly creative courses that tasted heavenly, served by a wonderfully kind chef and hostess. 10/10 would recommend. Worth every penny for the experience and the tastiness. What a unique experience! Great food in an intimate setting. Highly recommend this restaurant! Wonderful way to ring in the new year! A perfect evening and a dining experience to be savored. 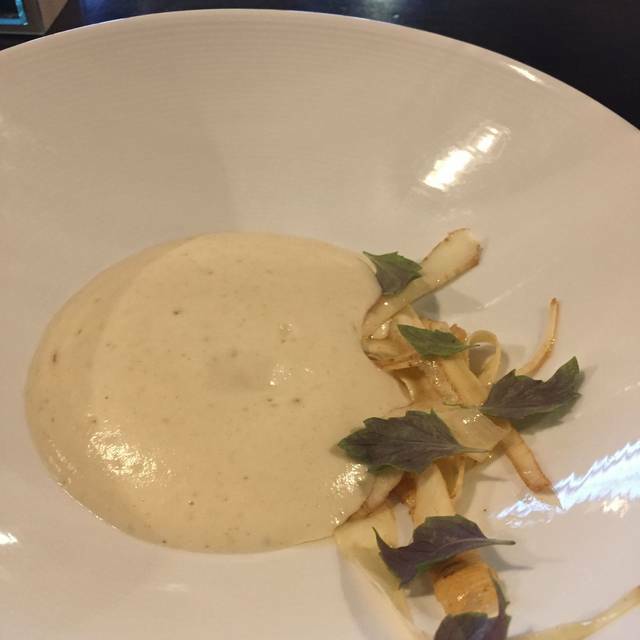 Each course is a magnificent expression of culinary skill featuring local ingredients. The food is unique and we enjoyed watching chef Evan preparing it. The wine pairings were outstanding. This should be on everyone’s bucket list. Evan Hennessey is a culinary genius. I have never in my life had such a wonderful dinning experience. He is so creative and talented. He comes up with ways to pack so much flavor into these small dishes that you literally can't believe what you are tasting. Me and my guest each got the 8 course meal and there were at least 8 times that my eyes rolled into the back of my head while tasting each dish. Truly incredible!! We opted out of the wine pairings but the couples seated at the bar next to us chose to do the pairings and they said they couldn't believe how well they went with each course. I love the dedication to preserving the beauty of each individual ingredient and I love the time and resources he exhausts to make sure that everything is local and top notch. Watching him plate each meal got my blood flowing! I was on the edge of my seat all night! If you love great food and the hard work that goes into it then Stages is a MUST! If possible I definitely recommend being seating in the kitchen so you can really appreciate all of his passion for his creations!! A true gem in Dover, NH. The food was amazing and we got to sit at the bar and watch Evan prepare our dinner while we chatted. It was a wonderful time! Stages is creative, fun and really delicious. The chef and the staff makes you feel welcome from the moment you arrive, and the food is incredible. We are lucky to live close by, however even if we didn't we would drive hours to get here. Visit their website so you can view the menu and enjoy!